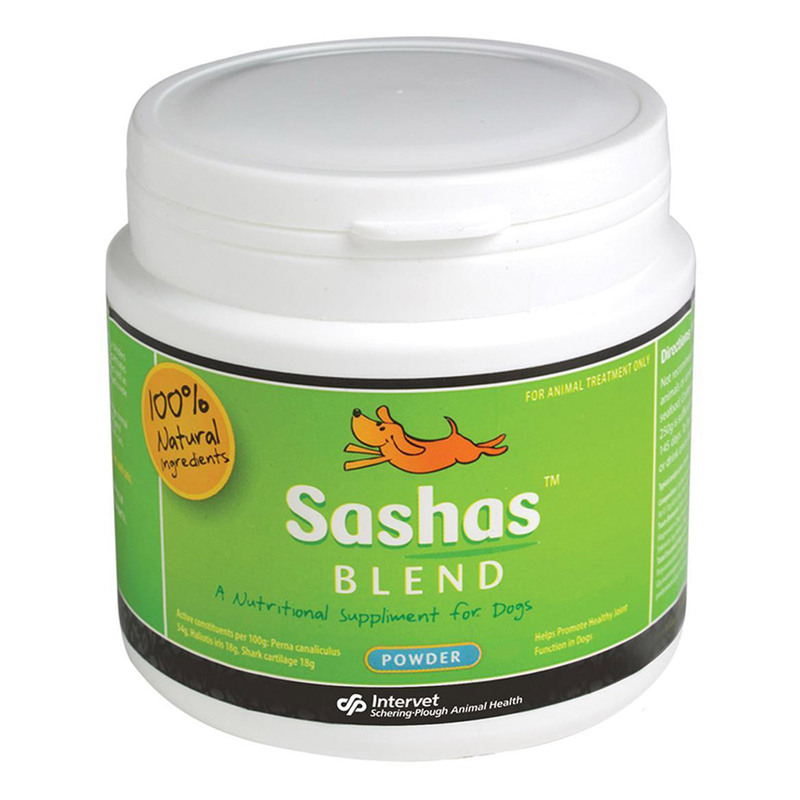 Sasha’s Blend powder is an effective supplement for treating arthritic symptoms in all breeds of dogs. It is blend of high level proteins, complex sugars, glucosamine, chondroitin and marine nutrients that help in healing painful joints. It improves joint function in 6 months older puppies, adult dogs and ageing canines. Sasha’s Blend Powder contains chondroitin, keratin, heparin, glucosamine, dermatan sulphates, hyaluronic acid, Taurine, Glycosaminoglycans, Chondroitin Sulphate and marine cartilage. The proportionate combination of these ingredients works wonders in improving joint health in dogs. It helps to improve ageing pet’s mobility by producing synovial fluid. It also helps in developing healthy joints in puppies over 6 months of age. Administer once a day by mixing with the pet’s food or drink. Note: A 250 gram tub is sufficient to treat a 44 lb dog for 145 days. Choose this product to reduce and treat arthritis symptoms. it's seriously amazing !! My doggy could hardly walk, but it has been over two weeks since I have been using Sasha's Blend Joint Health Powder and there has been a remarkable improvement in him. Highly effective product!!! My 5 year old Staffie was suffering from ligament trouble. I researched on the internet and came across this product. It has been two months and my furry pal has recovered quite nicely. Thank you so much!! !